Aeroservicios is a business operating in a 10,000 square foot warehouse, that provides services to airport ground-transportation vehicles. In this warehouse they fix, and maintain buses, trains, and other vehicles in the airport. Throughout the course of several months the company contacted several different contractors to polish their concrete floors. Most of them failed to provide an embedded shine, as they polished but then overlaid with sealers that ended up accumulating dirt and left scratches. As time passed, Aeroservicios began seeing an accelerated wear and tear, leaving the concrete to mere exposure. We processed the polishing by interacting with the carbon present in the concrete, hardening the floor, and leaving a natural shine with crystals that sealed the surface. MiaCucina is a distributor of fine kitchens, baths, doors, closets, and other furniture. With the trend of concrete on the rise they were looking to display a modern kitchenette. 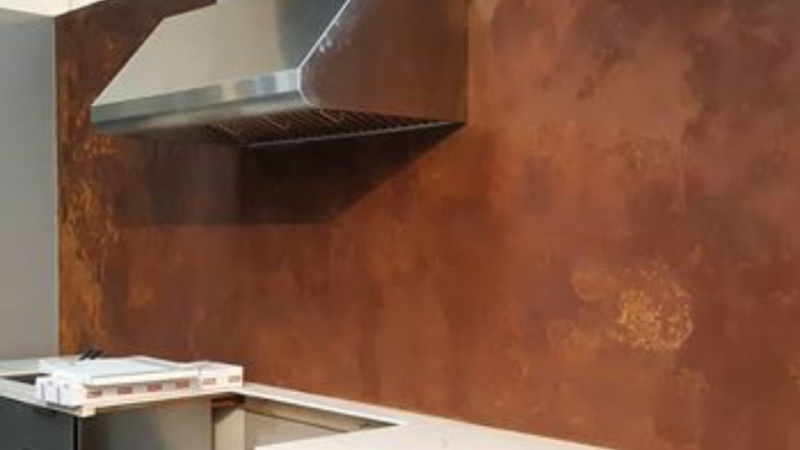 ConcreteLux was able to participate in their showroom by overlaying one of their kitchen sets in an oxide tone microcement, and another one with polished metal microtopping. We displayed two variations of metallic applications: one that gets polished and another that compounds to create oxide. In addition several of their employees were able to enjoy a tutorial of the product and its applications. We had a lot of fun overlaying a wooden picture frame in microcement to each ones creative capabilities. 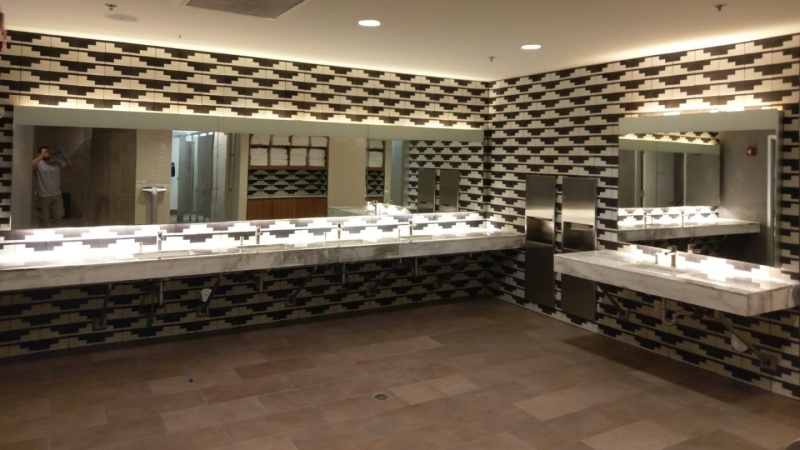 Equinox is a high end gym and fitness center. 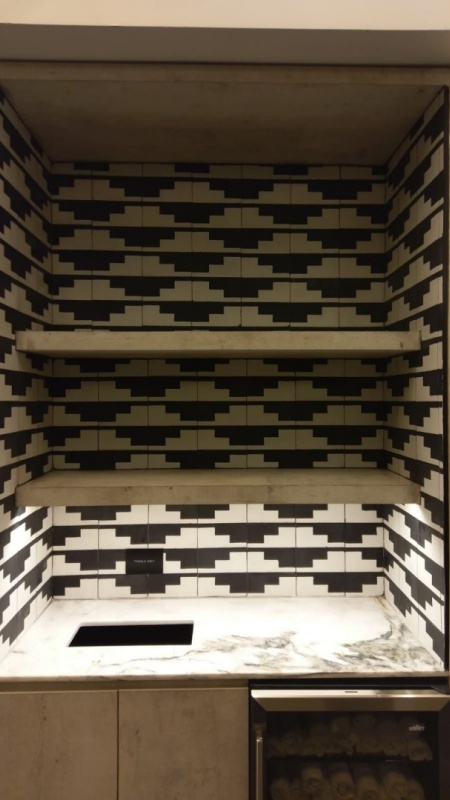 Recently, initially they installed a mexican tile that got ruined with black grout stains over the white, and also bad sealer marks. 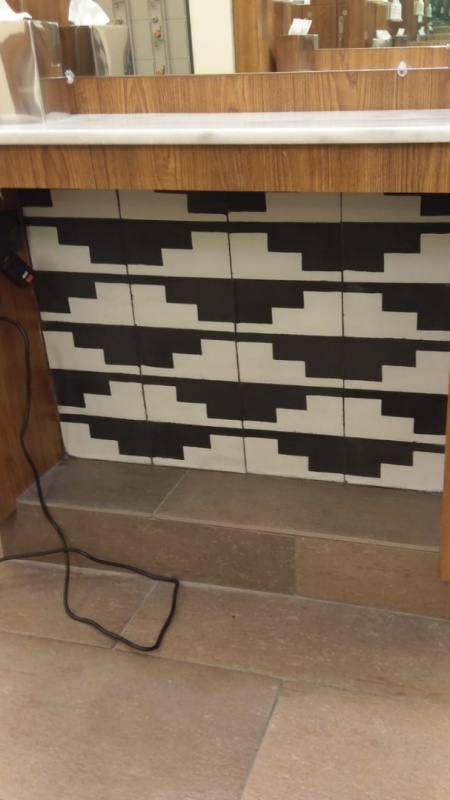 We sanded them with a vacuum to prevent the black powder to stain the white part, then cleaned the surface, and lastly repaired each tile one by one, until all restored. Finally an enhancer sealer brought back the colors and gave a nice matte finish. 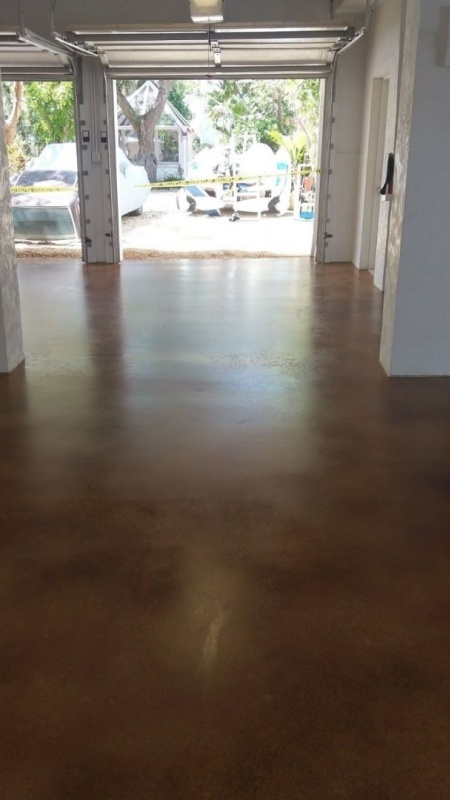 A homeowner in one of the beautiful Florida keys, Islamorada, hired ConcreteLux to polish the concrete, and the garage. As usual we began understanding the needs of the client, and began removing the existing overlay of the concrete. We actually found lots of stresses and worn out concrete realizing that it will not get a proper shine because of the many different repair patches. Instead of continuing the polishing work, we suggested to apply a dye that will end up giving it an even look. Our success can be seen in the pictures: with an outdoor UV resistant dye that is thick, covering all the blemishes, and leaving a sandy look. All in this beautiful oceanfront home. A dog nursery was looking to change their patio floor because the animals were constantly damaging it. It seemed as if it was always dirty and messy. We used our micro-topping techniques and added an extra water barrier prep to overcome this obstacle. Now, in order to protect against paws and scratches we applied a very strong polyaspartic 2 component sealer. It worked like magic, leaving a smooth, and easy to clean surface that looks better than ever. A house in Weston decided to overlay their kitchen with microtopping in a beautiful and modern way. 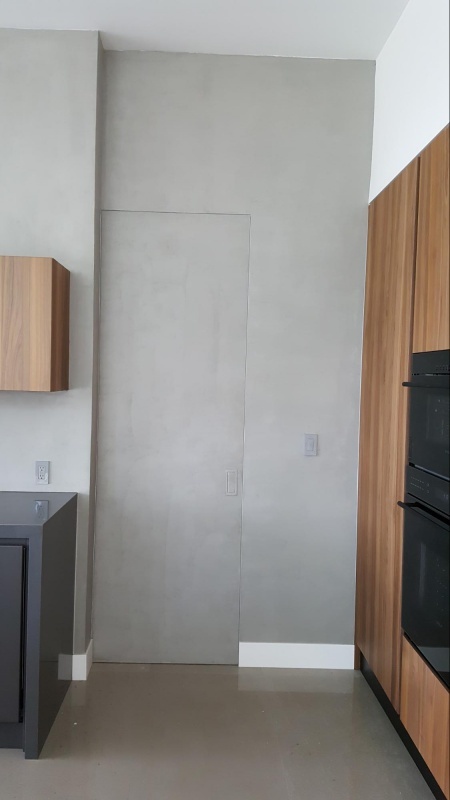 The door entering the kitchen is built in a way that is hidden with the rest of the foreground. ConcreteLux was able to achieve this style with the versatility of microcement. The beautiful cement color reflects perfectly, leaving the optimal brightness level for cooking and a warm texture for sweet meals. 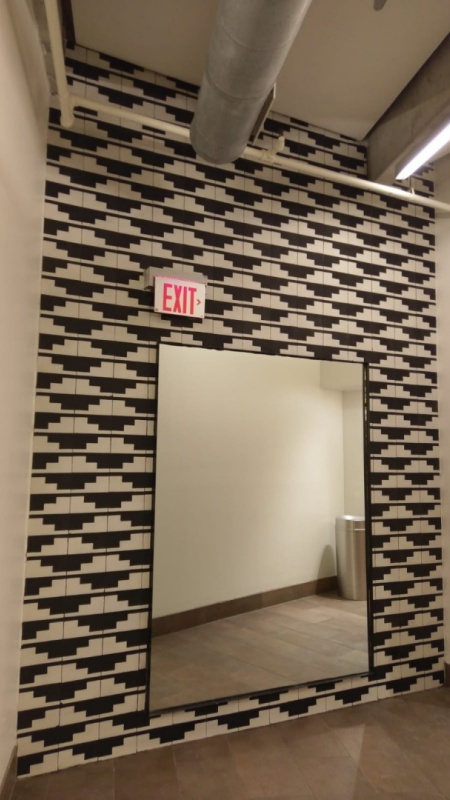 In the media room we created lines to simulate concrete slabs for a modern look. We where commissioned to redo the concrete floors on this beautiful school during winter break and have it ready for the re opening in January. We started by grinding the concrete base to remove the existing paint and sealer and get the perfect profile to apply a Dye in a brown color that matches the tile from the lobby. 2 Stairs had to be grind by hand and the challenge was to be on time , given the holiday days of christmas and new years eve. Our team was committed to work even on Sundays, and give enough time for the sealer to cure, for the fumes to dissipate. 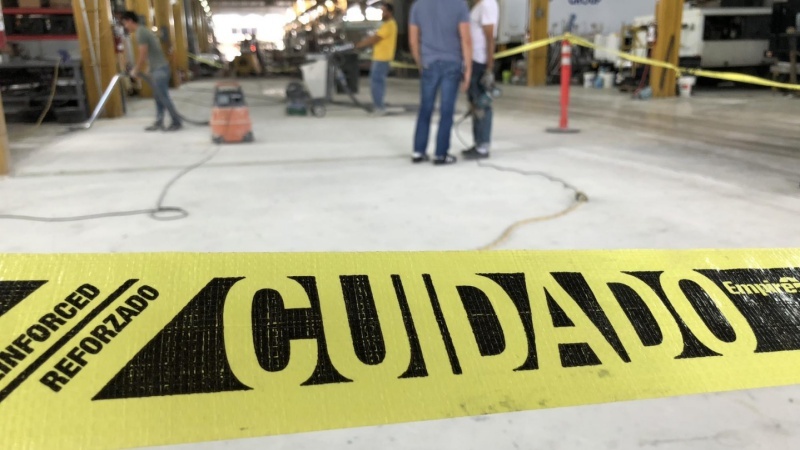 We wanted to use a very strong sealer as its a high traffic area and at the same time be sure that no fumes would be present at school opening, for that, we had to seal 5 days in advance to give enough venting time, but shortening our working time.